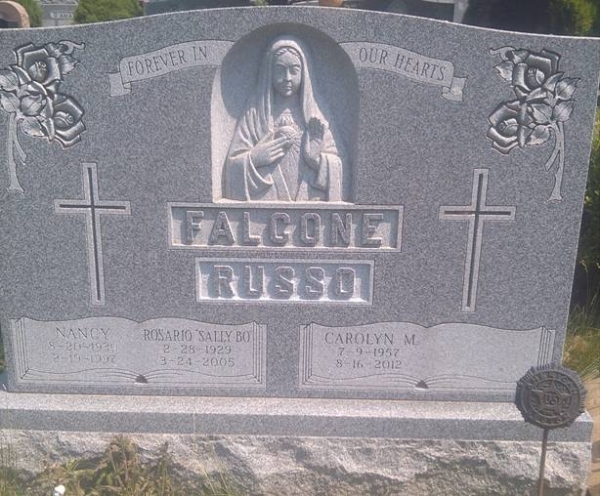 Searching For The Best Headstone Engraving Services Near Queens NY? 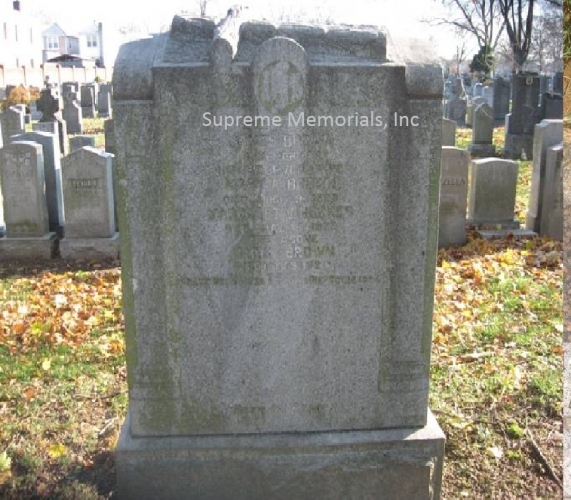 Supreme Memorials was founded in 1951 by both Rosario Cassara and Carmine Cassara. Both Italian Immigrants Rosario and his son Carmine would split the long 15 hour days. Rosario opened the shop at 7:00am and Carmine would close at 10:00pm. At the time the only products we were offering were Gray Granite and White Marble. All work was hand carved. We clean up after we are finished and replaced any flowers that were moved. 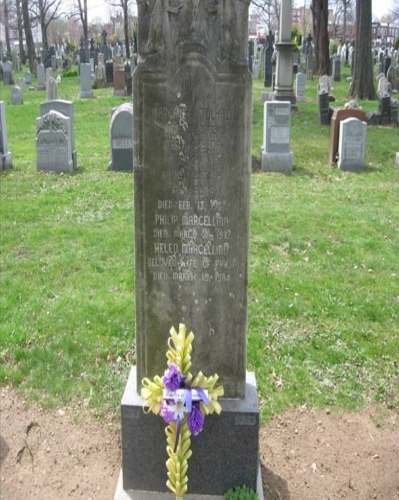 We are located in Brooklyn, New York and service All New York cemeteries & New Jersey cemeteries. In this age of mass production and cheap workmanship, it is refreshing to know that our company still uses old world techniques by trained craftsmen. We can duplicate any carving that has been created in any monument shop. * Greenwood Memorials is now affiliated with Supreme Memorials. * Evergreen Memorials is now affiliated with Supreme Memorials. 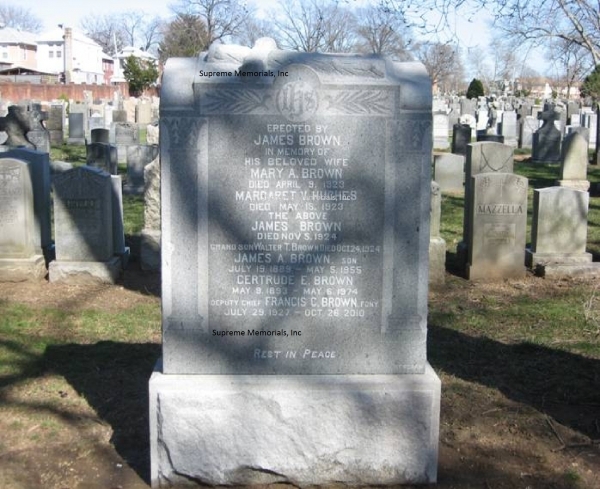 After completing an on-site assessment of your monument, we will mail you a photo to verify the information to be added, including the exact position of the engraving on the monument. We will also forward you any forms from the cemetery requiring additional information or a signature. 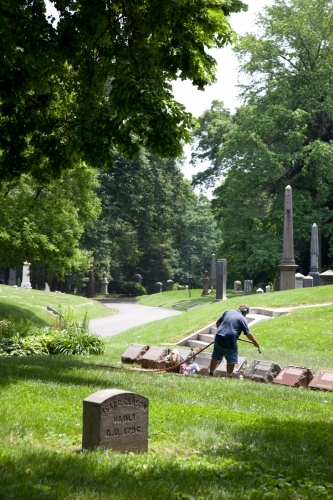 Depending on the cemetery, there are occasions when your signature will need to be notarized. 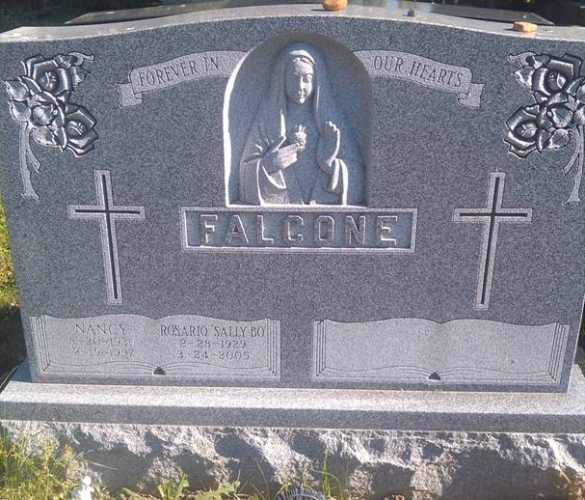 In the Queens NY area, there's one name that stands out among the rest for headstone engraving services - Monument Lettering. We have over 60 years of experience, and from our family to yours - we look forward to honoring your loved ones in a way that will showcase their legacy for years to come. We appreciate the opportunity to serve you and take extreme pride in creating a memorial that will last forever. Rosario Cassara and Carmine Cassara founded Supreme Memorials in 1951. Both Italian Immigrants Rosario and his son Carmine would split the long 15 hour days. Rosario opened the shop at 7:00am and Carmine would close at 10:00pm. At the time the only products we were offering were Gray Granite and White Marble. All work was hand carved. Carmine was proud of the painstaking craftsmanship he put into every memorial he designed. He also wanted the customer to know that they indeed were buying a product second to none. "Buy Direct and Save" Four generations and we still implement that same policy. We now offer as many as 17 different colors from around the Globe. Carmine's son Frank introduced different colors of granite to our showroom. We have many designs and a majority of our work is still hand carved. 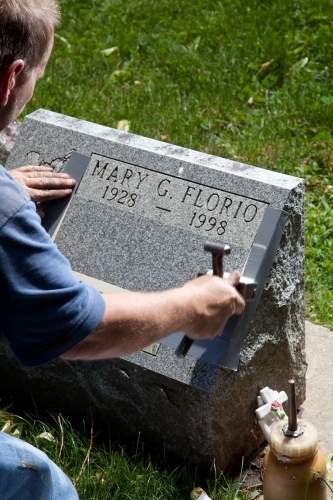 Now with new technology we are able to create "truly custom memorials." 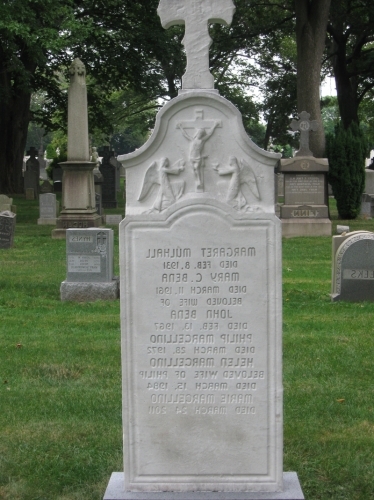 To build truly custom memorials please speak to the fourth generation Joseph and Michael. Carmine was proud of the painstaking craftsmanship he put into every memorial he designed, as are his grandsons Joseph and Michael.